Today I did something I've never done before. I went to the movies alone. Of course I ignored the strange look from the other person in the theater when I snapped this picture. 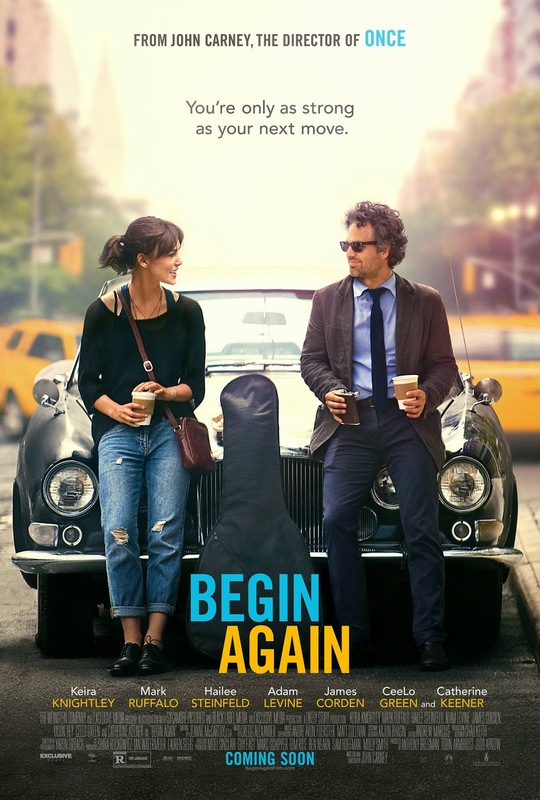 I had been wanting to see Begin Again for weeks, and after reading Carly's review, I really wanted to see it. None of my friends were free, but I just couldn't wait. It was a little strange going to the counter by myself and ordering one ticket. There was an older lady behind me, and she was seeing it too. I was feeling slightly awkward and blurted out that it was my first time seeing a movie solo (why am I so strange? ), and she replied that she does it all the time. I have to say, it was nice to just "peace-out" for a few hours, and have a little me-time. I walked out of the movie theater with my shades on, feeling like I could take on the world. This movie was probably the perfect "first solo-movie". 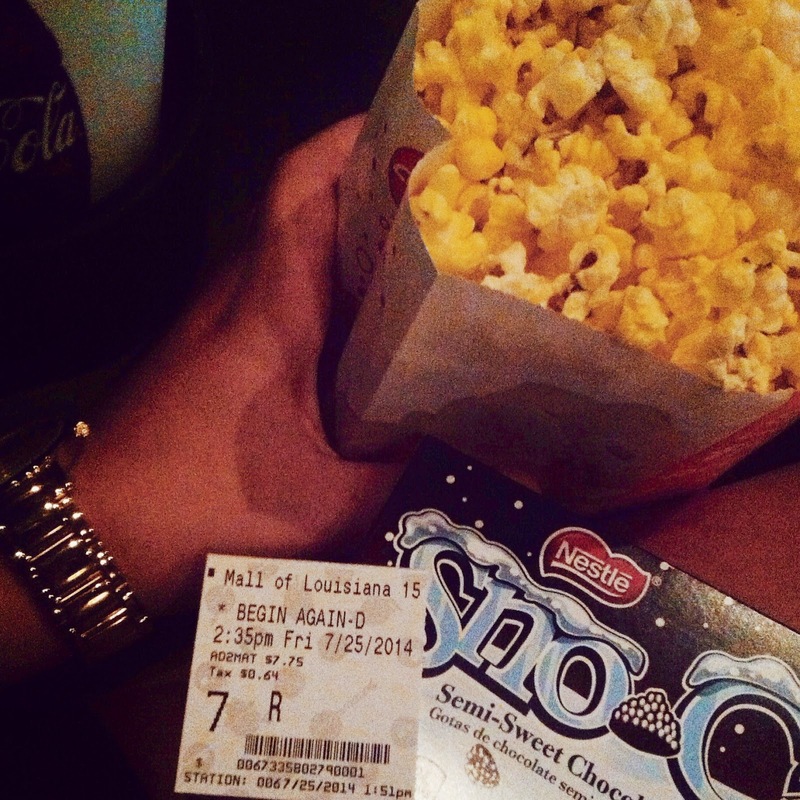 Without giving too much away, I'll just say that I didn't walk out of the theater feeling pathetic and lonely. And all the songs were stuck in my head, too, which was definitely not a bad thing. I listened to the soundtrack on Spotify the whole way home! I also LOVED that the whole film takes place in New York. As if I didn't love the city enough already? I do believe I'll be adding this movie to my ever-growing list of favorites, and might actually find my way back to the theater to see it again (on a Thursday morning when they give student discounts, though). Have you ever been to a movie by yourself? This movie is absolutely on my list of favorites! The soundtrack alone is amazing. Good for you for going alone! I may have to try it - it's not like you can talk during a movie anyway haha.